Returning to Long Realty is Mick Cluck, a longtime broker with more than four decades of real estate experience. A specialist in multifamily investment and income properties, Cluck will serve as an associate broker with the River/Campbell office. Cluck is a member of Long Realty’s Commercial Services division, a group of real estate pros focused on providing brokerage, consulting, and financing services for commercial clients. Properties represented by the group include industrial, office, medical, retail, land, ranch/farm, leasing, development and investment holdings. Cluck bears the prestigious CCIM designation—for Certified Commercial Investment Member—from the CCIM Institute, an affiliate of the National Association of REALTORS®. Denoting expertise in the commercial and investment end of the real estate industry, the CCIM is earned by completing a curriculum that includes 200 hours of classes, documented work experience, and a daylong exam. 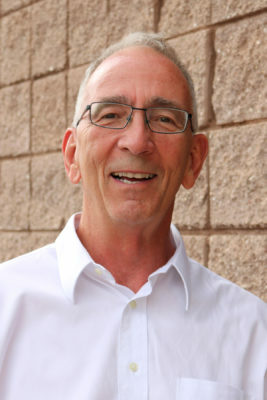 Cluck served as treasurer of the group’s Southern Arizona chapter in 2014. A native of Scottsbluff, Nebraska, Cluck has been a Tucson resident since 1973, when he came to study at the University of Arizona. He earned two undergraduate degrees from the UA, in anthropology and racetrack management. First licensed as a sales agent in 1975, Cluck has been in real estate ever since. In 1981 Cluck moved up to a broker’s license. For more information, contact Mick Cluck by email at mickcluck@longrealty.com or by phone at 349-3533. Share the post "Veteran broker, commercial specialist Mick Cluck rejoins Long Realty"
Welcome back, Mick. We are honored to have you join River Campbell!